I can't thank you all enough. 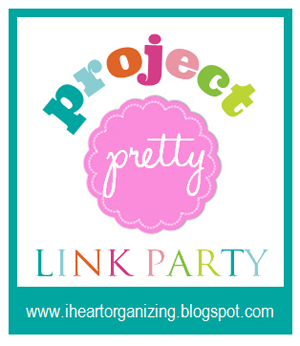 I had over 150 super fantastic "Project Pretty" link ups last week! You all really took this challenge to heart and gave me endless amounts of organizing eye candy and inspiration, click after click after click. I couldn't stop oohing and aahing and saying to my nearby family, "Oh my goodness, check out this smartness!" or "You have to come and see this!" To say I was smiling big and glowing with delight is an understatement! I thought it would be fun to share some of the awesomeness with you! 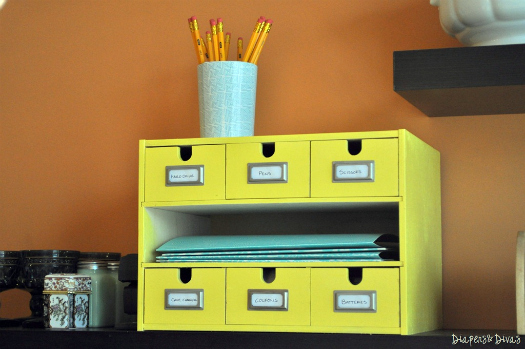 So get cozy and get ready to fall in love with pretty organizing all over again! Sometimes some paint and embellishments are all you need to revamp a piece that you already had! Some of you got creative with fabric! 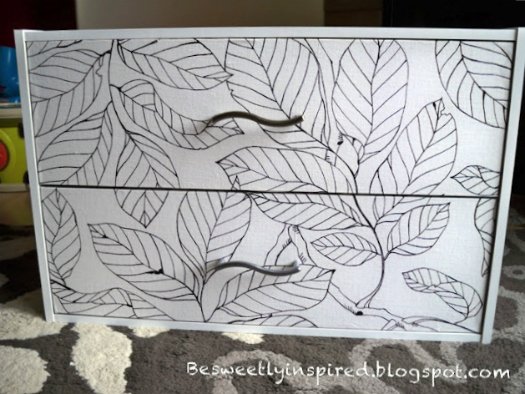 I love how this set of drawers was given a pretty face lift with fabric and Mod Podge! 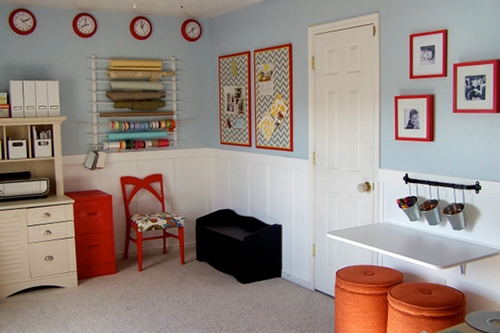 Not to mention, all of the fantastic fabric covered cork boards! How about using fabric to create a pouch to help with purse organization? 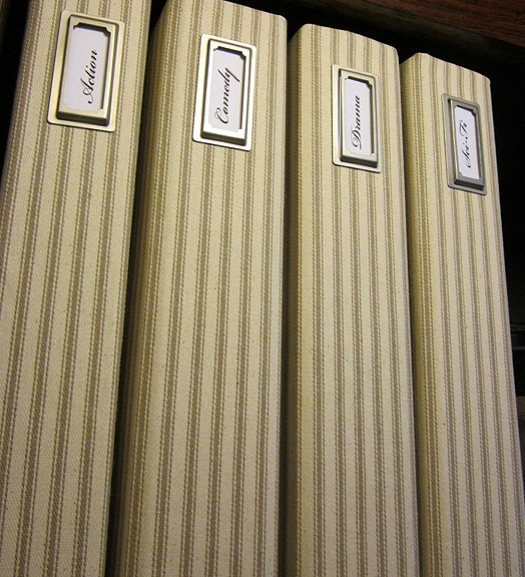 You even took standard white cheapo binders and made them look like a million bucks with fabric! Can you believe your eyes? You all know I am a lover of labels! 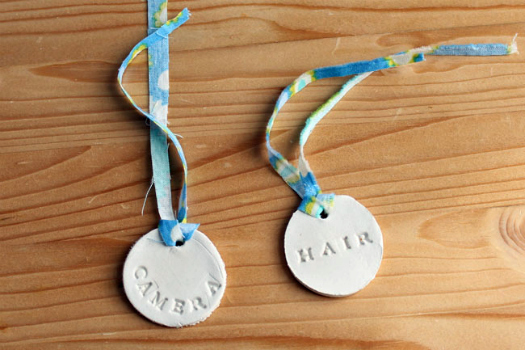 And when they are DIY labels, I think they add instant character to any project! Others tackled an entire room! I love how creative you all got by giving standard items a face lift to create high end looks on a budget! 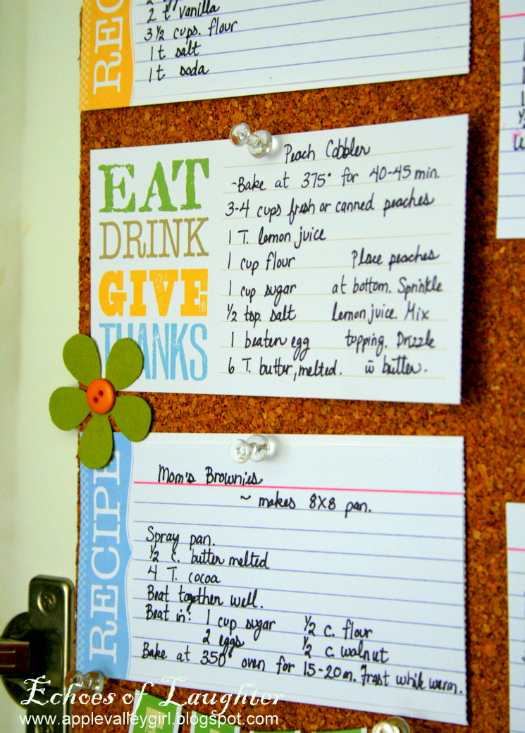 Using the back of a cabinet door is a great way to keep your favorite recipes right in reach! You also echoed the fact that paper makes everything pretty! 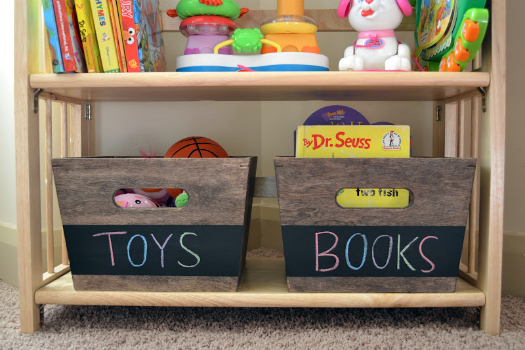 Whether a set of plastic drawers or an entire nook! And of course, lets not forget the power of paint. The striped back-drop for this art display has me wanting to whip out the ol' painters tape again! A special thank you to everyone that participated and prettied up your storage! I hope you found it to be a fun and rewarding process, and that you will find the urge to do it again! Loved the roundup. I will have to go take a look at the projects. Thank you, Jen! hi jen! wow, so many great projects! i am definitely going to check them ALL out. so cool! 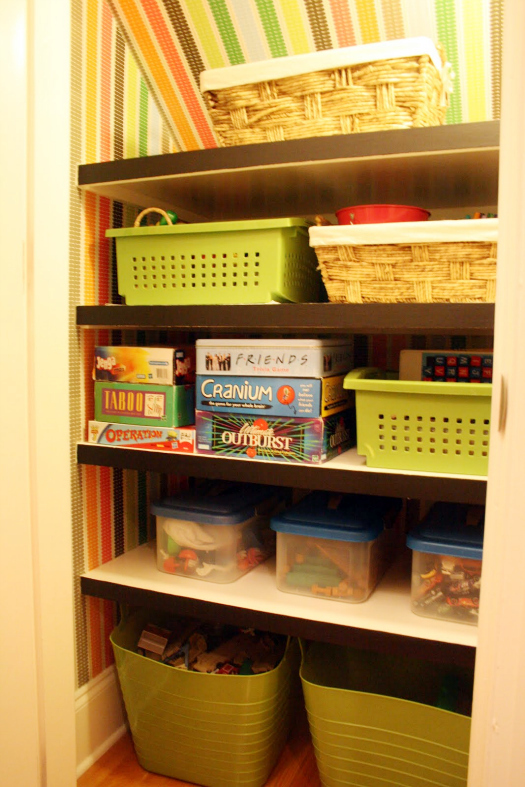 thank you also for sharing our pantry - i had so much fun making our boring pantry become organized AND pretty. 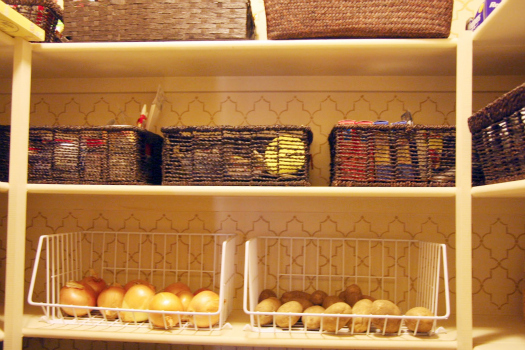 who says pantries have to be boring, right? I love all of them!! I'm especially impressed the notebooks covered in fabric. I'm always so amazed at how creative people are! I love all the features! 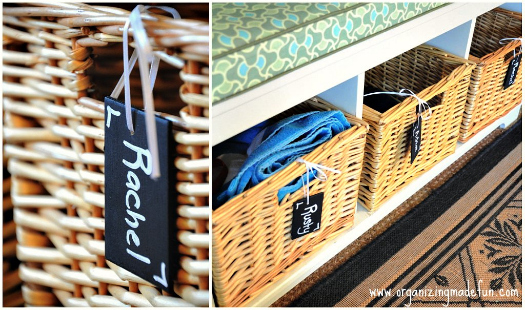 And thank you SO much for featuring my chore chart! Woot! Wow, can't wait to check out all the amazing projects! 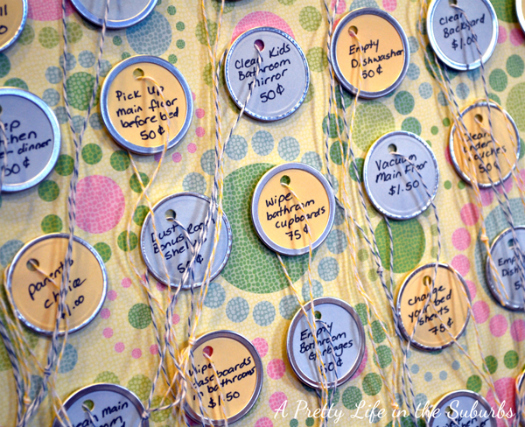 Thanks so much too for featuring my fabric covered cork board, Jen! :D I JUST LOVE FABRIC TOO MUCH! You are so sweet to feature my pouch! I'm obsessed with all of these other ones and excited to do some more organizing! Wow! So inspiring! 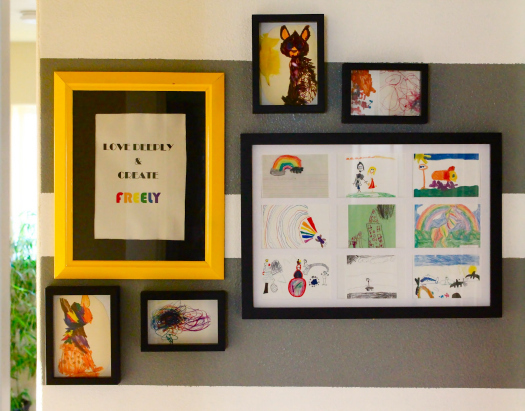 Thanks Jen for for the feature of our striped art wall =) Makes my heart happy. Thank you, Jen, for featuring my entry bench! All the projects look fantastic! 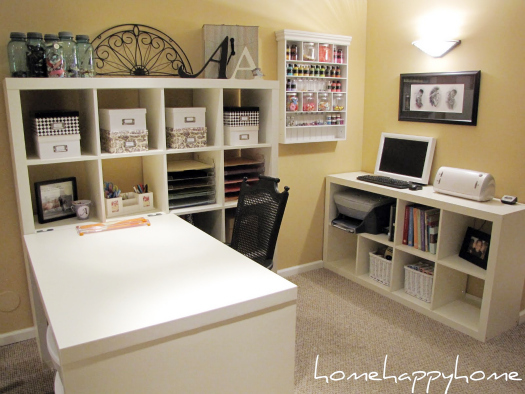 Thanks so much featuring my little scrapbook nook! I have been reading your lovely blog for some time now and being featured by you is a huge honor! Have a great day! WOW!!! everything is so inspiring, I really wanted to link up but got so busy forgot to do it. Really hope you will host another one of these soon I would love to link up one of my recent projects. There were so many wonderful projects linked up! 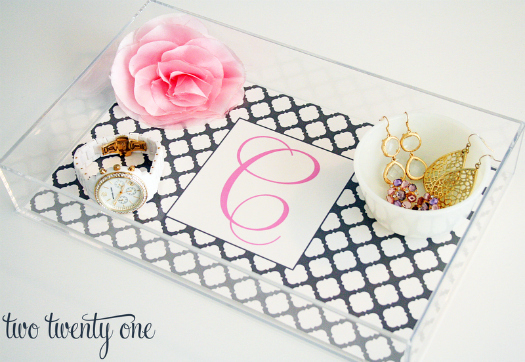 Thank you so much for featuring my fabric covered cork board and DIY lucite tray! It's an honor! So much inspiration thanks for hosting the party, I'm off to look for more fun projects to add to my ever growing wish list! 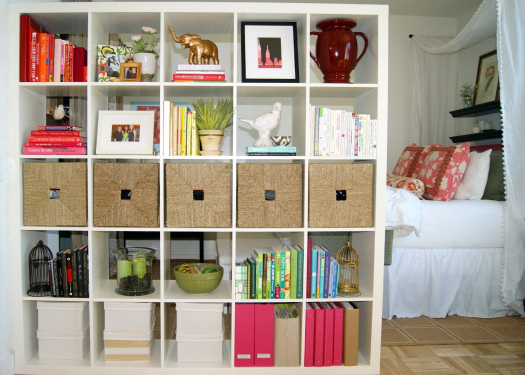 Thank you so much for sharing our Expedit bookcase! You made our day! Hi Jen. Thanks so much for the feature. 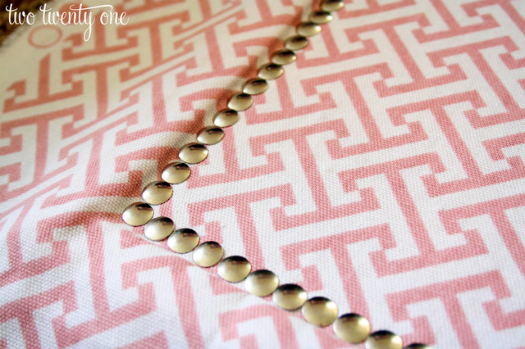 Your link party really was the inspiration behind the binders! Thanks again. there are seriously sooooo many amazing projects highlighted here! I'm heading to check them ALL out! Nice job everyone and thanks for hosting Jen! Hey! This is my first time here, I found your site via pinterest, their is some truly useful and awesome stuff here! 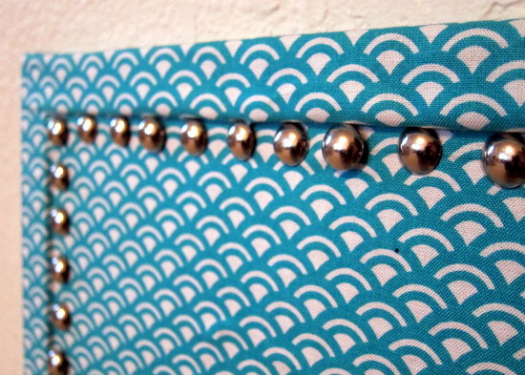 BTW the fabric covered binders in this post are just way to cool! Jen, thanks so much for featuring my office. What a fun surprise! I just pinned half of those! So much inspiration! I really hope I make the time to do at least one of these. Thanks so much for this post. Wow, these are all great! Love them! Where have I been. These are all fantastic. SO much inspiration. Thank you!!! Ooh! 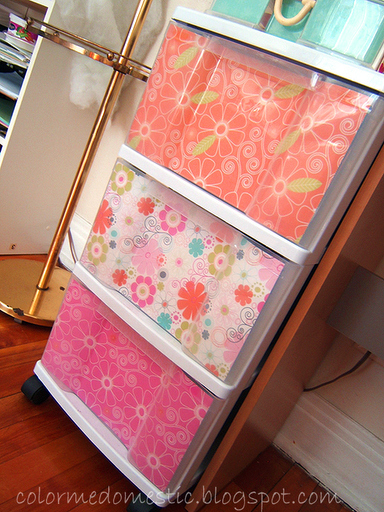 I need decorate my clear plastic drawers. I hate everyone being able to see what's inside. Great idea with the colorful paper!